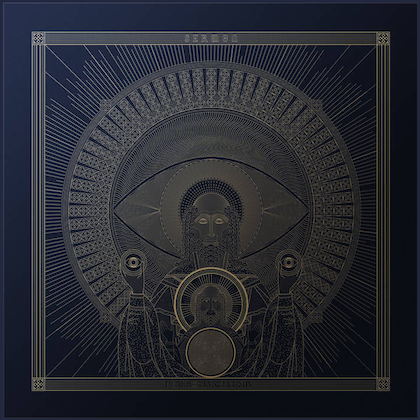 It's surprising SOILWORK is dropping a brand new album so quickly on the heels of 2013's magnificent double slab "The Living Infinite". Their tenth album, "The Ride Majestic" arrives just as longtime bassist Ola Flink departs the band. In Flink's place will be Markus Wibom, formerly of HEARTS ALIVE, and he'll have his hands full keeping up with SOILWORK's catalog, including another brilliant and exhausting jaunt, "The Ride Majestic". The title track greets listeners with a customary thrashing intro and the expectation this thing is likely to drop back in tempo, which it does. Yet Dirk Verbeuren seldom lets off the gas, no matter how many signature changes are expected of him. Double kicks rain all around the cut, maintaining acceleration through the powerful choruses. Because SOILWORK are so talented with their melodies, they get away with a hundred signature changes, including Dirk Verbeuren's rat-a-tat drops amidst the flogging pace of "Alight in the Aftermath". Björn "Speed" Strid utilizes more cleans than screams here, particularly once the song slows to a near-crawl en route to its guitar-screeching breakdown. Strid is nearly lost in the midst of all the guitar play until he wedges himself back into the number with cries and ralphs as "Alight in the Aftermath" pours on the intensity to the finish. 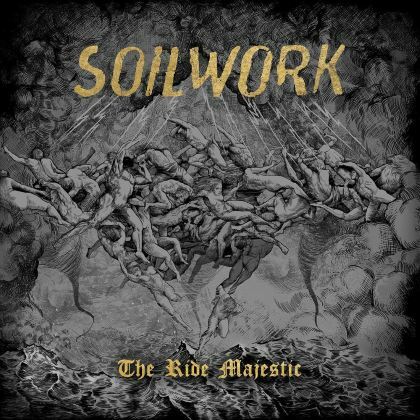 It's an impressively arranged track with numerous volleying parts, and if there was any question of fatigue between this album and "The Living Infinite", SOILWORK presents a blazing rebuttal. "Death in General" sprays beats all over the beginning until shifting towards a languid breeze as set up for its massive choruses. Strid lobs all his octaves in rotations between hard and clean projections as Sylvain Coudret and David Andersson go to the brink, then pull back in response to the evolving course of the song. The musicality SOILWORK drops into "Death in General" is as striking as anything else they've laid down in their careers, and it's followed up by the shifty and quick "Enemies in Fidelity" with its compounding cycles of speed jettisoning from a craftily serene opening which suggests a ballad that doesn't come. Instead it strikes hard, though the choruses on this number, as with "Death in General", are beauteously tranquil despite the flailing grind beneath them. An unexpected dance groove gives "Petrichor by Sulphur" an unexpected shake and SOILWORK makes a ballsy move by dumping all the pop maneuvers they can get away with. They accomplish this because of Dirk Verbeuren's tireless aggression. Even on the slower portions, he's still busy pounding away. Speaking of tireless, "The Phantom" keeps the velocity pouring with some the album's darkest-if wildly melodious-riffs and thrashing beats. Even the ugliest tones SOILWORK conjures up here is emotive and grand, which speaks of the ridiculous level they're playing at these days. How SOILWORK has this much in the tank after pouring so much energy into "The Living Infinite" and taking little break before recording "The Ride Majestic" defies the odds. More often than not a definitive body of work is so taxing upon a band their follow-up is bound for disappointment. Not so in this case. The last two songs, "Shining Lights" and "Father and Son Watching the World Go Down", finish this album with the same force and elevated harmony it begins with. 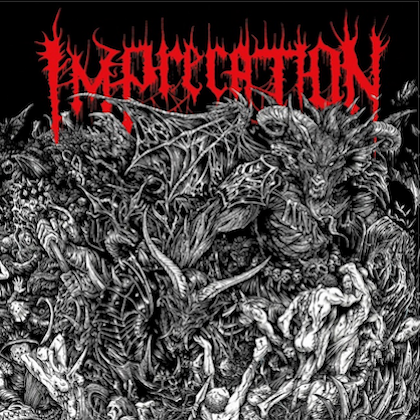 "Whirl of Pain" being as slow as this album gets, there's still a blast section to grasp tightly onto along with the whirligig guitar solos and Strid's gut-grinding wailing. Seriously, the dude sounds like he's trying to sell his way into the band, much less keep it spiritedly crushing. God help us on album eleven.